The Vernier Flash Photolysis Spectrometer is a simple, user-friendly device for demonstrating the fundamental principles of chemical kinetics and photochemistry to undergraduate chemistry students. It measures the absorption and emission changes over time of a photoexcited sample at a single wavelength, which is determined by a filter (600 nm filter included). 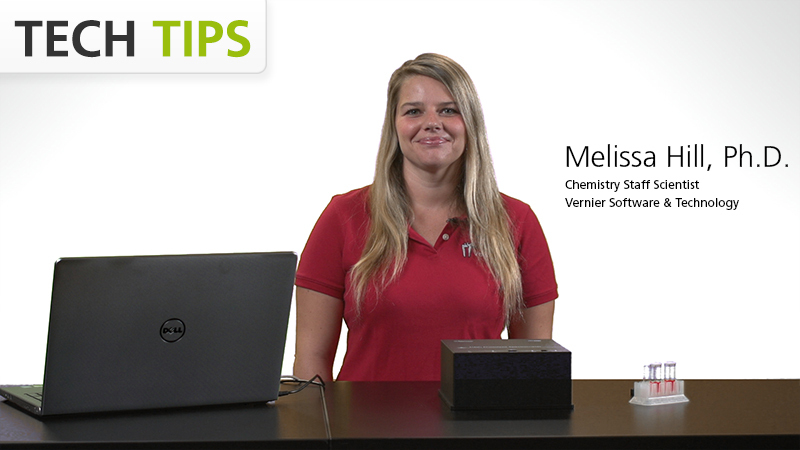 Join our chemistry staff scientist, Melissa Hill, Ph.D., as she demonstrates a photochemical reaction using the Vernier Flash Photolysis Spectrometer. "Base Catalysis of the cis-trans Isomerization of Congo Red" is one of the three free experiments​ ​included in the reference manual. The Vernier Flash Photolysis Spectrometer is currently for Windows computers only. It connects directly to a computer via USB and does not require a Vernier interface. The software is provided as a free download.